Editor’s Note: This post is part of a series of weekly posts that highlight interesting examples of brands using imagery to their content marketing advantage. Read on for this week’s example and analysis from Jessica Gioglio. Have you had the plaque talk with your kids yet? Though not the type of content one expects to see in their Facebook newsfeed, this post from Crest is a great example of how to cultivate engagement around dynamic imagery. The child’s facial expression in the photo leaps off the page and pulls the viewer in to read the copy. 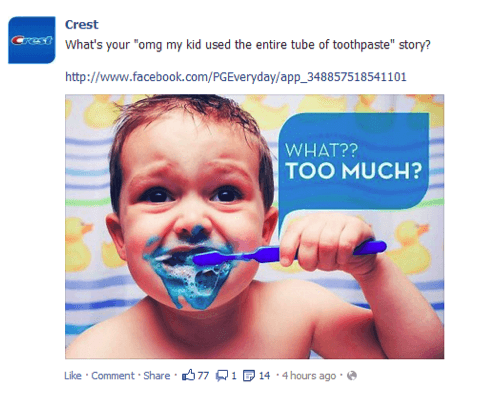 Crest’s Facebook post also showcases how playing on relatable everyday experiences and problems makes for effective content. It’s probably not a leap to suggest that most parents have “been there” when it comes to getting their children to brush their teeth. Building off of the theme of relatability, Crest is also looking to build fan engagement around simple moments that motivate people to share their personal stories. As seen here, an “omg moment,” featuring Crest toothpaste and an adorable, yet mischievous child makes it hard not to smile and think back to a similar moment in your life. For brands, the takeaway is to follow Crest’s lead in rallying their target online community around a series of relatable every day and “omg” experiences. 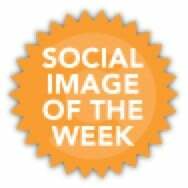 Pair these experiences with strategically cultivated photos which will capture your fan’s attention and stand out in the cluttered Facebook newsfeed. Then, look for opportunities to layer in conversation starters through content. It’s also a clever idea, when possible, to link to a company blog or website for expert content, or more information. 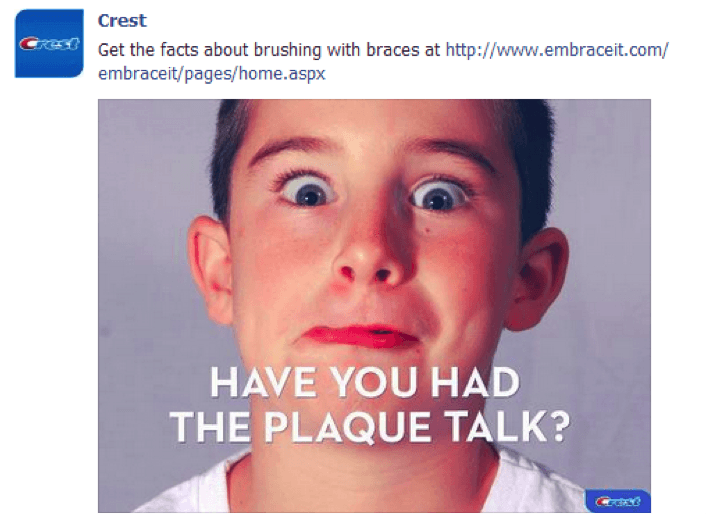 Kudos to Crest for taking some not-so-exciting subjects and making them more exciting.